I heartily welcome you all to this gracious function to celebrate ICHR’s 45th Foundation Day. On such occasions, ICHR usually organises a lecture by a distinguished scholar. During the first year of my three-year tenure, I had the honour of inviting Dr David Frawley, USA (Pandit Vamadeva Sastry ji) to deliver the prestigious lecture. In his scholarly lecture he drew our attention to the Vedic literature and explained how rich it is with historical content. Last year, we invited a distinguished professor, Dr Satish Chandra Mittal who presented an excellent exposition critiquing Indian historiography. This year, ICHR proposed to have a 3-day national seminar keeping in view of the sincere calls of these two eminent scholars who stressed the need for a fresh look on our sources of ancient history and to revisit our history narratives in colonial and post-colonial times. Further, we take this opportunity to take a step forward in this seminar attempting a critical assessment of the latest research finds in historical, geological, linguistic and other allied disciplines so that we can correct, reaffirm and update our knowledge about our past, both recent and remote. Before archaeology has emerged as a science, Indian history writing was solely dependent on literary sources. Indian archaeology began in the second half of 19thcentury as an amateur subject. It took about a century to grow as a scientific discipline. Organised archaeological exploration on scientific lines has started mostly after we became politically independent. After Harappa was found, the highly developed civilization was dated to about 4th millennium BP (Before Present). Some Indian scholars argue that it was deliberately dated posterior to Assyrian and Babylonian civilisations. We are also aware that many issues came up with the identity of the founders of the most ancient Indian civilization by the non-Indian archaeologists of the British times. On this auspicious occasion, I respectfully remember my pujya Guruji Mahamahopadyaya Dr. Sivananda Murty who used to say that ‘our future lies in our remote past, not the recent past’. We, Bharatiyas (Indians), are very fortunate to take pride in our remote past, which needs to be brought into light with the application of modern scientific tools evolved by the allied disciplines like archaeology, geology, anthropology, environmental science, remote sensing technology etc. Though most of these science subjects and their super specialties have their respective limitations, they can still be of great help to us to develop proper understanding of our ancient culture and civilisation. The historicity of many events and personalities of so called ‘pre- historical’ ancient Bharat as known to us even today through its ancient literature - Vedas, Puranas, epics, kavyas etc – has yet to be proven to satisfy modern intellect. Our concepts of life, its goal, ways and means to achieve one’s goal and nation’s character are well described, preserved and conveyed to us through generations by our ancient oral and literary traditions. Unfortunately, we are not able to put it in a precise time frame through geographical locations of many an event are clearly indicated with traditional dating in our literature. This is the major problem relating to the dating of major happenings in India in its remote past. Now, the main question before us is, what is this remote past? Was it entirely a savage and barbarian past as archaeology points out? Archaeology cannot take us back to more than 10,000 years for the transformation of the homo-sapiens to homo-fabers which witnessed the gradual evolution of civilisations and cultures at various places of world, whereas literary sources are pointing to indefinite periods beyond 10,000 BP (Before Present). We are not able to bridge the gap between these two types of sources. The major questions arise here in the context of ancient Indian history. When we are sure that a high standard of urban civilization could be dated back to 6-7 millennia BP and recent excavations vouchsafe that urbanisation was widely prevalent in India, then why should we doubt the existence of the Vedas in an oral form from the same time period? Were both material and Vedic traditions developing simultaneously? If it is so, like the civilization, the Vedic literary tradition and knowledge systems might also be gradual developments. Can we trace the beginnings of these traditions, which have no parallels in the world? To what extent can we push back our historic antiquity? When we look at our recent past of proto-historic and historic civilisations we have similar problems. Experts in the field state there occurred urbanization for the first time in India in about 7th millennium BP and then the second urbanization only started around the 3rd millennium BP. There is a long gap between these two phases stretching over 2-3 thousand years. The knowledge of the first urbanisation washed out with the disappearance of River Saraswati and second urbanisation occurred in River Ganga plains. Many explanations are given for this historic gap. This seminar is making an attempt to address the recent finds of researches in various allied disciplines and the problems and limitations of these disciplines, which are making serious efforts in delving into our past. Since 1920s, archaeological exploration activities have picked up speed. Scientific methods have been introduced and new methods and disciplines have been involved in this brisk activity. European and Indian archaeologists jointly and severally were taking up projects. In the post independent era, this archaeological research has gone entirely into the hands of Indian specialists. In the first phase, major projects were designed and executed by the experts mostly with governmental support. A historian has to interpret and understand the objective finds from archaeological researches taking into account other collaborative evidences. All the sciences we are employing today also have their own limitations but under these limitations what best we can draw out of them is a historian’s job. How the projections of these results of archaeological and other scientific researches could throw light on our remote past is now lurking in the minds of all the experts assembled here. We have amidst us a father figure like Dr. BB Lal who is going to deliver a keynote address on recent developments in the proto-history archaeology. We have received a good number of papers from allied disciplines by experts in their fields for this seminar. We intend to allot sufficient time to everyone for presentations and discussions. That is why this seminar is planned for three days. I must say that I have no claim for the theme of the seminar. We have involved many experts from various disciplines who are dealing with varied topics in building a scientific and true history. Therefore, the explicit theme of this seminar is not one person’s idea or design. Every line has been chiseled by the respective experts. The object of this scholarly endeavor of this three-day seminar backed up by at least two years constant consultations is to kick start a multi-disciplinary approach to understand the major problems in constructing the true ancient History of Bharat, presently called India. Many people have discussed these problems on many platforms but they still linger on because, like habits, psyches also die hard. It is no surprise that these predicaments would surely remain even after many such seminars. There is a session which is devoted to study historical perspective. Since the present genre of history has developed in the past two centuries, many assumptions were made by the early European historians without proper critical analysis and assessment of Indian literary and archaeological sources. The early European historians had no proper knowledge of ancient past of India and of Vedic literature. Most of them had not lived in India. Most of them were interested in their present and their interests in that particular present. In the modern times, our contemporary historians are applying social science theories, methodologies and techniques to historical studies. Is history a pure science? Is it a pure philosophy? Or is it about only politics? Or only a critique of social milieus? In other disciplines like economics, sociology or political sciences there are many schools of thought and we are trying to apply them in historical research. If you think closely about how these schools came into existence in the past 100 or 150 years, we find that most of these schools are based on hypotheses or speculations. Their influences on historiography turns history a mere speculative social science. While arguing that history should be true to its original sources, the perspectives developed in presenting the past in the then contemporary light has become a far cry. That is a major problem we are facing today. So much of literature has come up in history on so many aspects of the present time and looking into our past from the problems of the present. But history was not the same; society was not the same; and the economy was not the same in the past. So, the relevance of modern social science theories to historical research has to be examined carefully. We have with us a very distinguished international scholar and octogenarian, Prof Sivaji Singh to present a key-note address for this section who explains the heart of History. Another section is exclusively earmarked to deal with the major limitations of archaeological studies. Most archaeological discoveries were chance finds. An archaeologist might dig with an expectation, but end up finding something unexpected. An archaeologist is forced to accept what he finds irrespective of his hypothesis. Another major problem is with the dating and interpretation of the object. Many assumptions were made by the early archeologists, which have been deciding the destiny of our country’s history. This will be discussed in Dr B B Lal, the well-known Indian archaeologist’s, keynote address for the archaeology section. Yet another important section and a major issue we have taken on is about the geological formations of India. We have 5 eminent scholars specialising in Geology. They are holding an exclusive section in this seminar. They will look into geological formations and how they influenced rise and fall of civilisations; how the rivers have been changing courses; how some of them disappeared and reappeared; and how the fluctuations in sea-levels changed the course of history on the coastal lines. In this seminar, the distinguished scholars in Geology who are currently working on the disappearance of the Saraswati River are presenting papers in that exclusive section. 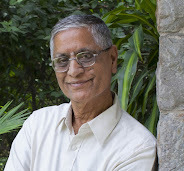 The keynote address of this section is being presented by a very eminent, internationally known geologist, Dr Valdiaji. The fourth section of the seminar focuses on taking our culture back to ancient times and dating events in history based on astronomical data drawn from literary sources. Our team of experts are aware of the limitations in using astronomical data when writing history. Many historians have reservations in accepting the astronomical data, as it does not come anywhere close to archaeological findings or dating. Nonetheless, an event in history cannot be termed myth or imagination on the grounds of not being able to arrive precisely at an agreeable date from literary source. The events described in literary sources deserve consideration rather than being stroked off as a myth. This section is devoted to discussion on the specificities of Linguistics and Literature and also on their limitations. Languages and vernaculars transform over time. For example, the vernaculars spoken in India currently are only 1000 years old, but a different set of local languages was there some 2000 years ago. Specialists have to look into developments and draw connections. Unfortunately, some judgments have been made by European scholars about our history with limited knowledge of our linguistics. Europeans started making judgments based on their own knowledge of Greek, Latin and then drew a few analogies to the newly learnt Sanskrit. They concluded that there are commonalities in all these languages so they are contemporary languages and therefore contemporary civilisations. If they are all contemporary ancient languages and civilisations then why don’t we have literature in those languages as old as the Vedic literature? Since we have never looked into this from the Indian point of view, we are accepting their theories dating Sanskrit as 2000-2500 years old, and that Sanskrit has come from the earlier Prakrit. We accepted this theory by the West that linguistic development happened in a linear progression. The course of languages has to be tracked carefully with open mind. Now, looking at literary sources like Rig Veda and other Vedas to build a chronology and periodisation of history one encounters with a few limitations. Which part of the Vedas came first? Who wrote it and how many Rishis were involved? What were the times of those Rishis? Were all of them contemporary? What are their lineages? Many seminars were held and many theories were made but the answers are eluding our search. We have a list of lineages of sages and Kings in ancient history. When we look closely at the approximate reigns of kings in each dynasty, how can we strike accurate averages to their reigns? It is very difficult to work out the reigning times of the kings by just having a list of kings on hand. We have invited Dr David Frawley (Pt Vamadeva Sastry, USA) a renowned Vedic scholar to present a keynote address for this section. The fifth most important section of the seminar is the continuity of philosophical thought from Vedic literature down to Buddhist literature. This section is led by a very eminent international scholar and thinker, Prof S R Bhat, Chairman ICPR. He will be speaking on the continuity of philosophical thought in Bharat right from the Vedic times through to the Buddha. While Jains claim contemporaneity with Vedic tradition, the Jain thought shares much from the Vedic and vice versa. A careful study of ancient philosophical thought would reveal that the basics of the tradition is still seen and practiced in Bharat. These are the major questions before us. We have all these distinguished scholars here to deal with these major issues in writing our history. This seminar is only a beginning to find solutions to the major problems in writing history of our ancient past. ICHR should continue to work on these particular issues to establish history of our remote past. For the present, our objective is to examine whether there was continuous development in all aspects from 7th millennium to 2nd millennium. The recent finds suggest that there is a linkage between these civilisations and it was a surely continuous civilisation for at least past 5000 years, archaeologically proven. I am very happy to receive prompt and positive responses from the distinguished specialists in history and its allied fields. We expect that the scholars attending this seminar may be raising some key questions in each special section requiring some intensive workshops for further discussion as follow up action. Finally, I humbly acknowledge my irredeemable debt to my Guruji Mahamahopadya Dr. Sivananda Murty for my understanding of ancient Bharat. I thank you, one and all.